In the end I was offered a cup of tea and a biscuit. It was a peak service so it was busy. Apparently large maintenance on the Hitatchi units today. 5 coaches on the Carmarthen train (again) and an HST replacement for the 17.07 Frome train and a long explanation about why there were no seat reservations. Plans to "flexibly update train lengths" sound great in practice but GWR seem to struggle to respond to operational changes so I really do hope this isn't code for more 5 coach trains. There appears to be several diagrams running around as 5-car trains today that should be 9 or 10-car, and none of them are listed on JourneyCheck. That is very poor. It should be noted however that whenever I have checked GWR's fleet allocations recently there have been very few 5-car trains that were supposed to be longer, so a much improved situation in general to what we were witnessing. 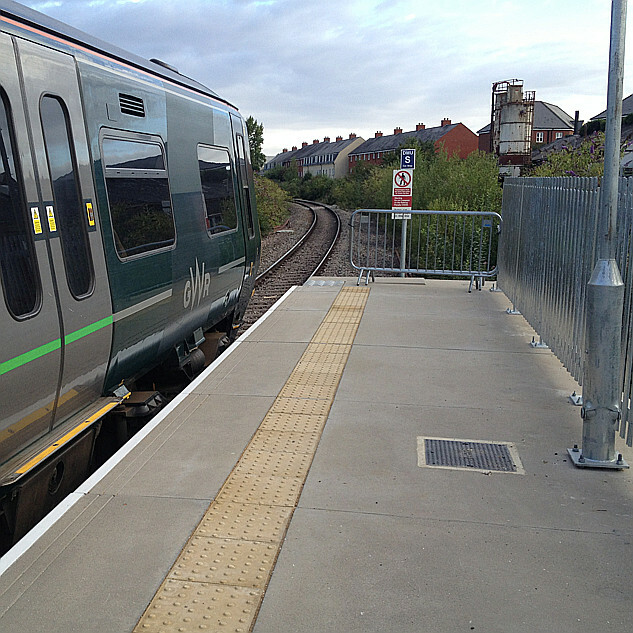 Have Tweeted GWR who said all short formed trains should appear on Journey Check and will feedback to those concerned. Standard @GWRhelp response - ask them for the response to your feedback and what'll be done differently as a result & they'll be less forthcoming. Are the short forms a response to the ORR requiring the anti-idiot modifications? Welcome to todays shortforms, to celebrate the 1st anniversary perhaps? At least they’ve been listed, little comfort if you so happen to be travelling on one though. ……..more being added by the minute it would seem! I take it Hitachi either compensate GWR or don't get paid every time they can't provide the required sets? This would mean GWR actually benefit from running short sets as they don't have to pay compensation to customers as the train wasn't actually cancelled. Not good for their reputation though as the customer will blame the company named on the train. In all honesty it's probably not a major concern to them as GWR don't have a reputation worth defending. That's the "Capitals United" - the only inbound trains that doesn't stop at Reading, and also (this is really important) the first connection from Melksham to London via Swindon. Normally there is a sprinkling or open seats into Paddington even at the peak time; probably the best peak trains to reduce. Today with 5 cars rather than 9 it's 'standing in the aisles an lobbies' even in first, with the restaurant coach being defended against even first class boarders who don't want breakfast. Uniquely (I have never done it before!) I was on the train from Cardiff and had the opportunity to try out the restaurant. Once settled at Swindon, there were a couple of seats still free in the eating area and then people not taking the breakfast were invited to sit there. The only seat not occupied by a person in the carriage was next to a disabled gentleman who had his stuff on the seat beside him and his assistance dog at his feet. The staff coped as best they could in providing what people had reserved for, but were hamstrung trying to squeeze a quart into a pint pot. I was amazed at the apparent good nature of the people standing, and my earlier comment about "being defended" was accurate, but perhaps not as critical as it was being taken. Anyway - unique experience for just the day. Back to senior card, [standard/lower/cattle] class and split ticket stuff from now on ... and London days being cheaper on super-off-peak up the night before and staying in a dive near Paddington - and that's also more robust for a day's work in London. I doubt it, designing the anti Darwin modifications and getting them approved by all the relevant agencies will take some time. A lot of people have asked (including on this forum) "why are GWR's ones still running?". A sort-of answer would be "we've done what we can with a quick fix, and we'll do a design change for both fleets when we can". So I was expecting some kind of intervention within a couple of weeks, maybe using ties, clamps, curtains, or the like.